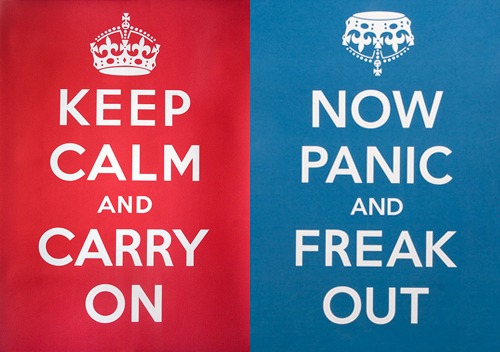 I am about to head off to college again tomorrow. I am excited to get to my new apartment, but I am sad to be leaving home. I have quite honestly had the best summer ever this year. I will miss my mom and dad and my summer routine. I already miss my best friend (she started this week). But I am trading that for school and studying (which I adore! ), my epic roommate of a best friend, and brand new experiences that come with junior year of college. So I spent all morning yesterday packing away my life into two plastic bins and two rather large suitcases and hoping that all of the stuff will fit in my car! I need room for that, a cooler of shelf stable food, cleaning supplies, perhaps my stability ball, and o wait ME. I also went to my grocery store for basically the last time until November (OK I may go back for a banana or two because I buy them by the one since the heat turns them ripe so quickly). That means use up the food you have in the fridge Shannon! I am not sure how well I am doing with this. I still have an entire eggplant, a zucchini, brussels sprouts, and carrots that need to be eaten + some eggs and yogurt and cheese. All I can think about is if I don’t eat this food it will just sit there, no one will throw it out if it expires and no one will eat it! And then I remember O wait, my parents aren’t going anywhere. I need to remember that except for the brussels sprouts and yogurt, my parents both like those foods too and would happily eat them when I am gone! Enter my waffle for dinner! This is the first time I made myself a waffle since coming home this summer! I loooove breakfast for dinner and I love waffles when they are made just right. This was my first experience cooking with Almond Meal and I LOVED it! 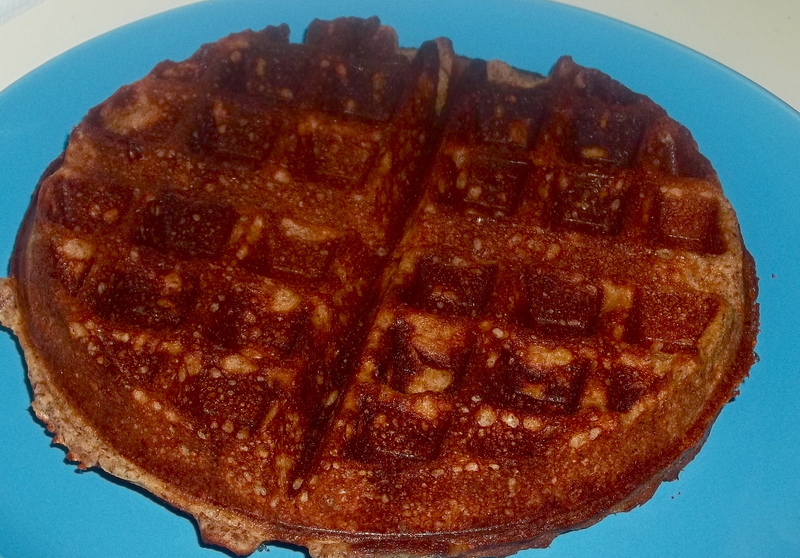 The waffle was so sweet and nutty and grainy tasting. I know a lot of people like their waffles light and fluffy. Not me. I used a recipe from here and chose to use my real Vermont Maple Syrup instead of honey (actually my honey expired so it chose for me). I also added 1/2 Tablespoon of Extra Virgin Olive Oil because I have done a lot of experiments with my waffle maker and the waffles always come out better when there is oil in the recipe. I promise it is not burnt. I was worried too when I opened the waffle maker. One taste and I figured out it is just the Almond Meal that makes it darker. Fun fact though the inside is almost pink! It looks cool, I didn’t take a picture, so make this for yourself and see! 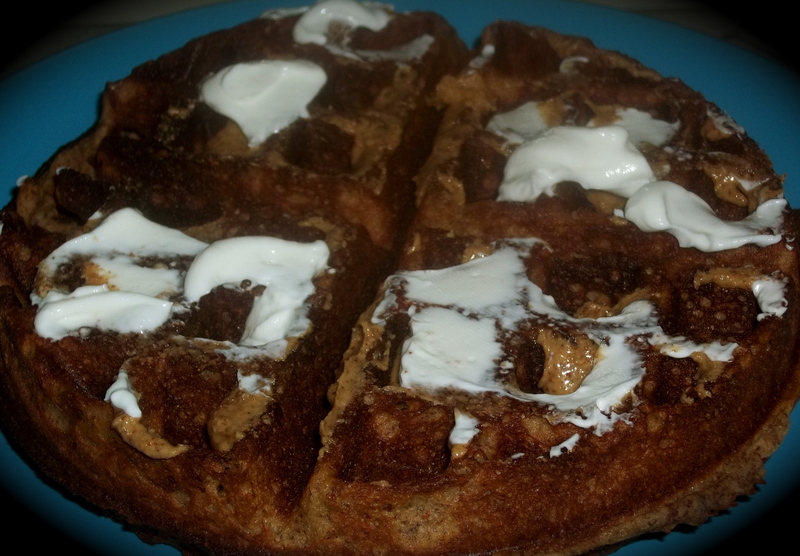 I topped my Almond Meal waffle with Justin’s Maple Almond Butter and Fage Greek Yogurt. I am not a big syrup girl but if I had wanted syrup it would have definitely been my Vermont Maple. But since it was already in the waffle I was good to go. Seriously though. I am so glad I went with what I wanted and not what I thought I should have. Yes, wasting food is not a good thing, but it’s not like no one else in my house will eat the stuff when I am gone so nothing is wasted, the food just won’t be in my belly. Stress makes food no fun. This meal was fun.